Filming & Editing : Chris Waggott, Luke Walker & Nassia Inglessis. We define augmented reality as a material one; an augmented materiality in which we co-opt digital platforms across material driven processes. Studio INI presents In need of transformation, a design experiment investigating the grey area digital automation and intuition in craft to form matter that can transform itself and the space it inhabits. This is part of our ongoing exploration of materiality and the DDW theme of crossing boundaries. Glass, in its capacity to refract and template its environment through light, has an inherently flexible capacity to transform the space it inhabits, making it an ideal vector for experimenting with our ideas of augmented materiality. 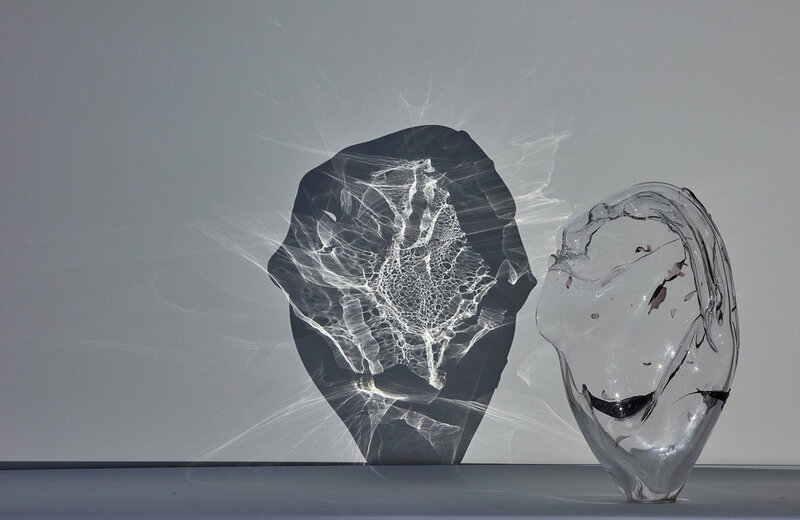 The installation involves the display of glass blown pieces made through a fusion of craft and digital automation processes designed to perpetually transform the material throughout its formation. We trialed a new algorithm-based system that correlates direct handling of the glass, with automation of air pressure and suction. We are not seeking to make practical tools. Instead we are seeking to explore alternative processes in forming glass that combine the material driven fabrication of the craft to the rule based precision of automation. We used the positioning of the hand in order to provide an intuitive bridge controlling both approaches. The new process then became a cognitive game between rules and intuition, allowing us to develop a series of work where we see the process of understanding and mastering the new process. Augmented materiality is defined by continuously transformable structures that 'form' and 'deform' themselves and the space they inhabit. In need of transformation uses glass to demonstrate this. It is blown to form, deform and reform through digital pneumatic pulsation cycles and manual interventions. 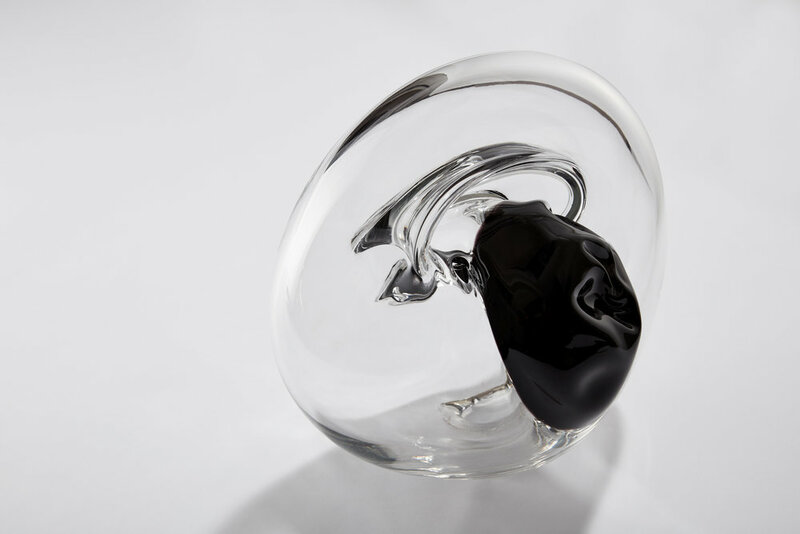 The glass freezes (at ~ 500°C) at different points across its structure, allowing us to create a visual record of the process of cyclical deformation: a form of embedded logic. In turn, the glass pieces become a template of transformation of the light and space that they inhabit. This template is the imprint of how the glassblown pieces were made and is unique to each piece. Through this embedded information of their process they deform the space they inhabit as they engulf, deform, redirect and project the light. This hybrid process pushes the boundaries and explores the fringes of designed materiality by creating with manufacturing process dictating form rather than having process dictated as a function of form.